Melbourne Band 692 is a unique concept of blending Soul and Blues classics with recognizable Rock tunes. The band comprises of six seasoned musicians who all have a natural feel for this amalgamation. Fronted by male and female vocalists, together with a pulsating rythm section and then topped off with the sizzling Saxophone and the boogie woogie beats of Keyboard the repertoire boasts such diversity that this band will appeal to many people and all occasions whether it be a party, wedding or your next corporate event. 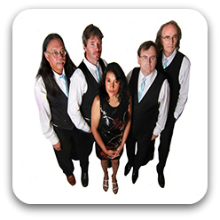 5 piece band – drums , bass, guitar, saxophone, harmonica,percussion, male and female vocals. Can add Keyboard for those clients wanting a 6 piece band. 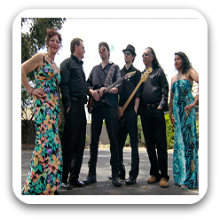 Can perform as a: 5, 6 Piece Band and are available to perform in Melbourne and Surrounding Areas.